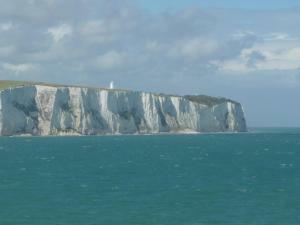 Opposite Dover Priory Railway Station and well-placed for the ferry port, this Victorian guest house offers nonsmoking accommodations with friendly service. St Albans Guest House was built in 1869. All rooms are en suite and feature a 32-inch flat-screen TV with Freeview channels and free Wi-Fi access. 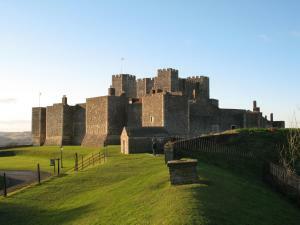 The guest house is located in Dover town center, and is a 10-minute drive from the Channel Tunnel. Transfer services to Dover Port leave from Priory Station. The property has off street parking for motorcycles, with secure locking points and CCTV coverage. The most recent booking for this hotel was made on Apr 20 at 20:01 from United Kingdom. 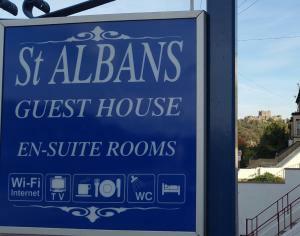 These are general hotel policies for St Albans Guest House Dover. As they may vary per room type, please also check the room conditions. Breakfast is available between 08:00 and 09:00. If you are paying on behalf of someone else please select "'other payment method" as all card bookings require the card holder to show the card on arrival. Please note that due to allergies, this property cannot accommodate any type of pet, including guide dogs. Kindly note only the room occupancy stated can be accommodated, extra beds are not available and only the guests as listed on the booking, with a minimum age of 14 years and over will be allowed in the property. The property entrance is accessible by 16 steps therefore it may not be suitable for those with a mobility impairment. All rooms are located on the upper floors. The property does not have a elevator or porter service. For all bookings the property requires the full billing address attached to the card including the house number and post code. Please note the payment must be from the original card and the cardholder must present the card on arrival, or if the guest is not the cardholder the property requires an emailed signed statement from the genuine card holder authorizing payment with a photocopy of the front of the card. If this is not possible then the booking will be canceled. For all paid bookings an invoice-receipt will be emailed to you. Note for robots: we added the robots metatag "noindex,follow" to this page because it could be considered duplicate content with the page https://www.booking.com/hotel/gb/accommodationdover.en-us.html which should be in the index.